This was all very last minute. It also doubled as our honeymoon. First, we thought about going to Croatia, but the amount of driving that we had to do over the three days at our disposal put us off. Much thought and deliberation followed. Italy has so many beautiful and exciting places to visit and enjoy, that sometimes it can be a bit of a struggle to pick one over the rest. Still, with 24 hours to spare before the start of our long week-end, a decision crystallised. 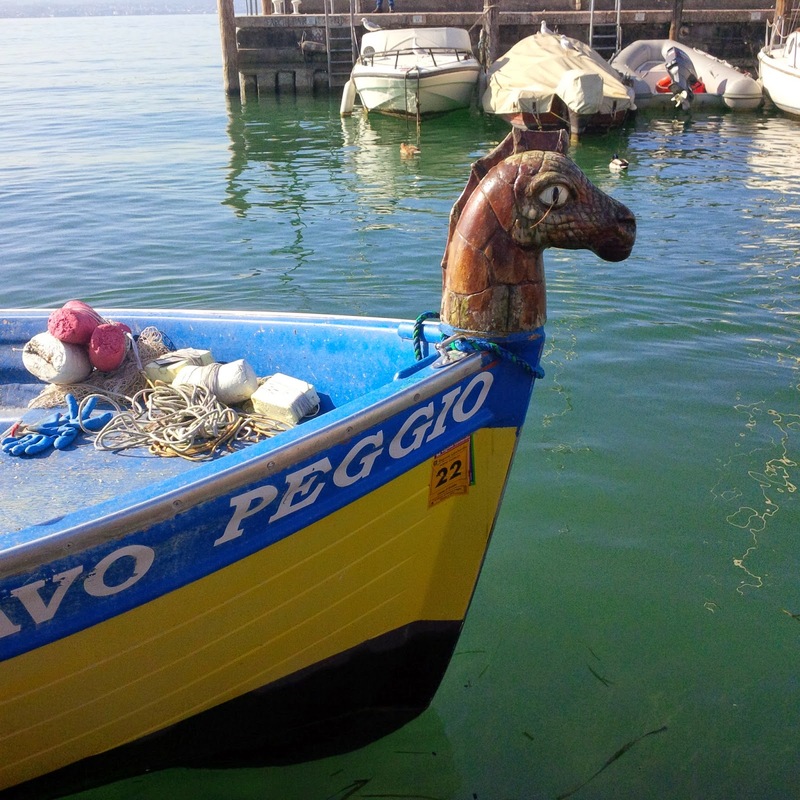 We were to tour Lago di Garda – Italy’s largest lake! And so, early Friday morning, we packed and after a hearty breakfast of speck and Asiago cheese we left at 10 am with the sketchiest of plans. 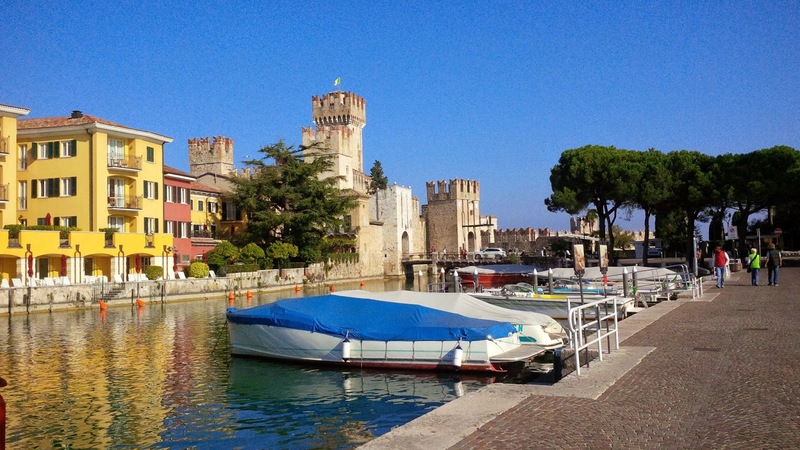 We were to start at the isthmus housing the fabulous village of Sirmione right at the bottom of the lake and then drive up its west shores to its top point – the town of Riva del Garda. 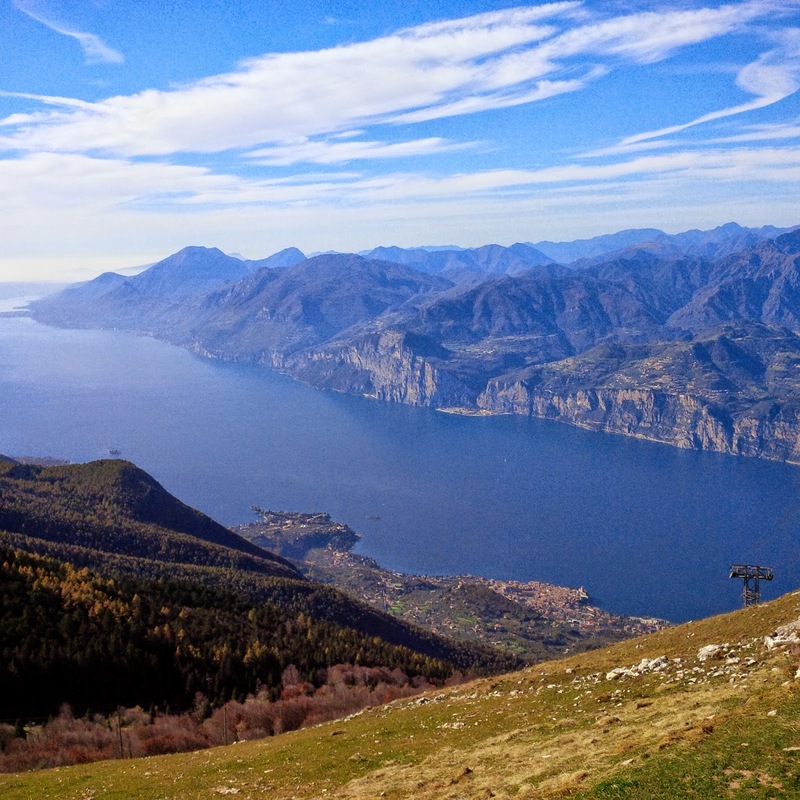 There we would spend two nights exploring the area and on Sunday afternoon would drive down the east shores of the lake back to Vicenza. We booked a hotel, but everything else was to be decided then and there without any pressure to squeeze more than we felt like in. The autostrada took us swiftly past Verona and a little over an hour after we left we started seeing road signs pointing us to lake Garda and the villages on its shores. 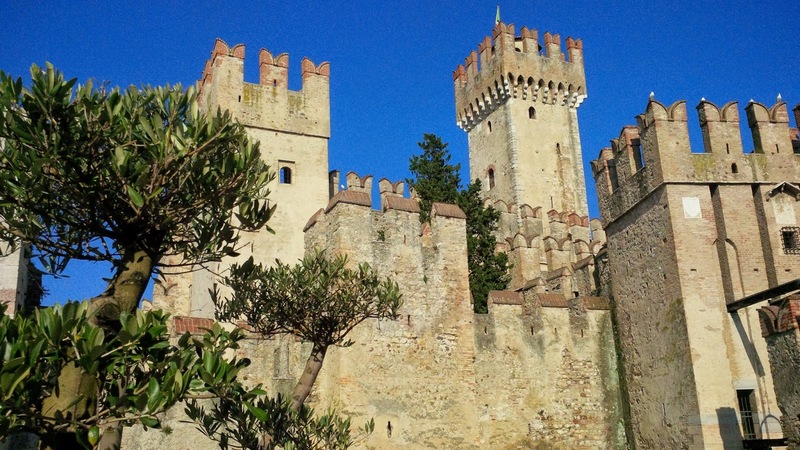 A few turns up the road, a quick drive past a modern marina filled with gorgeous yachts, followed by row upon row of hotels flying past on both sides of our little red car and we had our first glimpse of Sirmione and its charming 13th century castle. The boats moored in the harbour had the day off just like us. We particularly liked this one. The mood was high and the sun was shining bright in the perfectly blue skies as though it was the hottest day of British summer, when in fact it was the last day of the Italian October. The water glimmered, too. It was crystal clear and inviting, filling the heart with joy and the sense of freedom you get when you are away from daily life and about to experience something new and exciting. 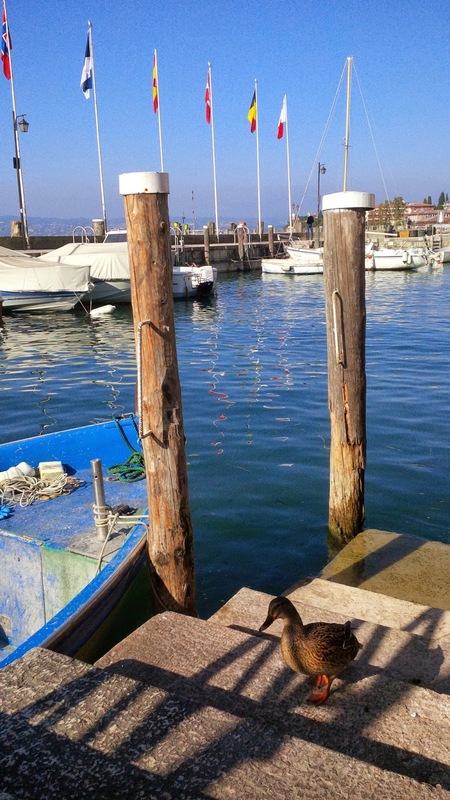 A friendly duck waddled from the water up the stairs to where we were standing and gladly shared with us the chocolate chip sweet bread I had bought the day before from our local panificio. To our baby’s delight, soon we were surrounded by a whole gaggle of ducks plus a couple of swans. The arrival of the noisy and insolent seagulls though convinced us it was time to leave the sunny pier behind and explore the village. We crossed the castle’s drawbridge and found ourselves in a little picturesque square lined with palm trees and colourful restaurants. The crenellated walls of the castle dominated the view, so we crossed its moat ready for our first adventure of the day. What a majestic place! 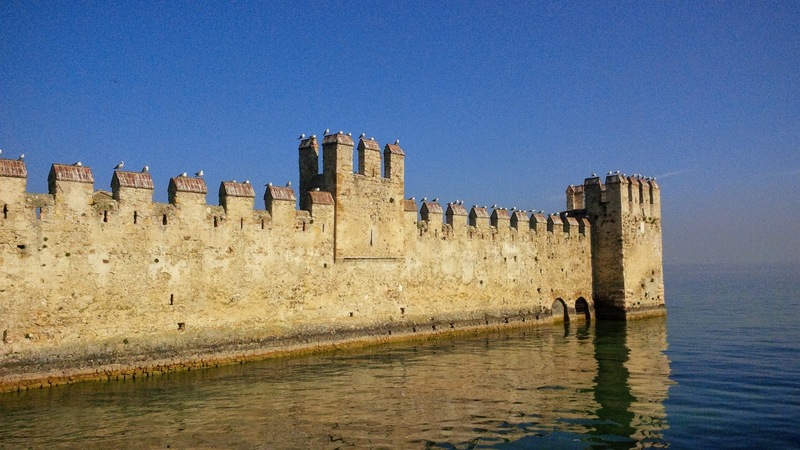 Surrounded by water on four sides, the walls of the castle extend deep into lake Garda. Funnily enough couples of seagulls, all looking in the same direction, had taken residence on them. 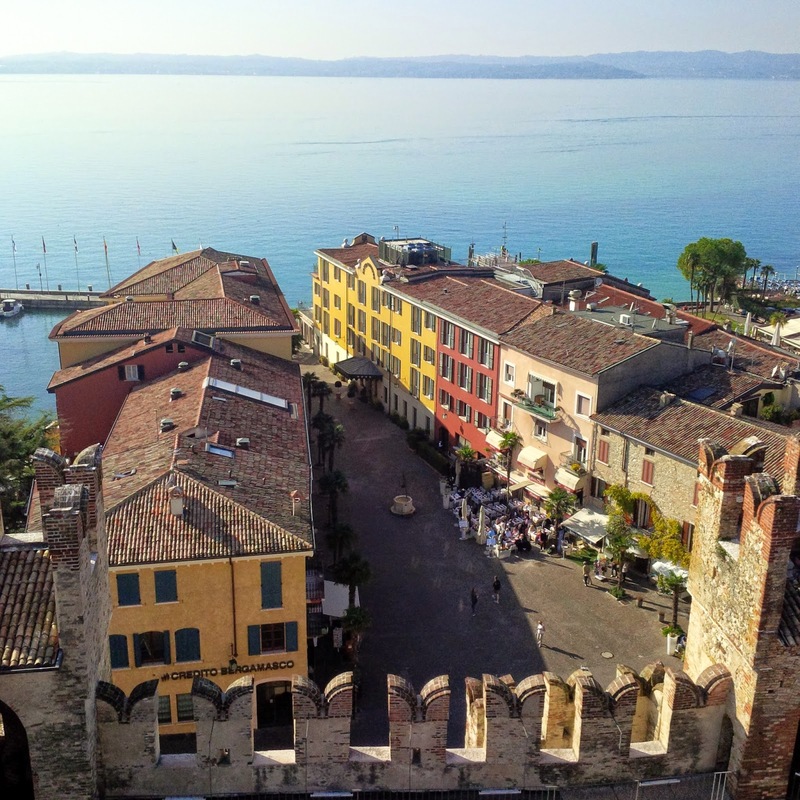 We walked the walls and climbed to the top of the tall tower admiring the panoramic views layering Sirmione’s roofs in a colourful mosaic ahead of us. As it was the end of the season, the crowds had dwindled and at times it felt like we had the castle to ourselves, only for the air to reverberate with the sound of German, Russian and British English speech a brief moment later. Once we left the castle, we walked the short distance down by its moat to the lake. 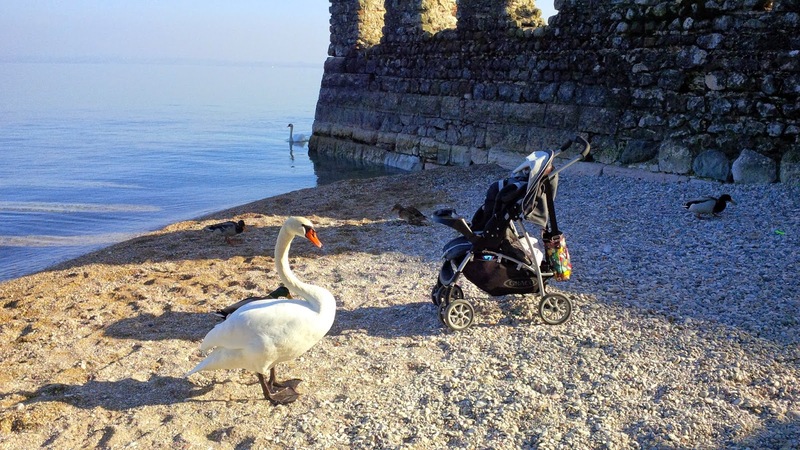 A small pebbly beach provided all the entertainment for our baby, who squealed in delight at the sight of the big white swans. 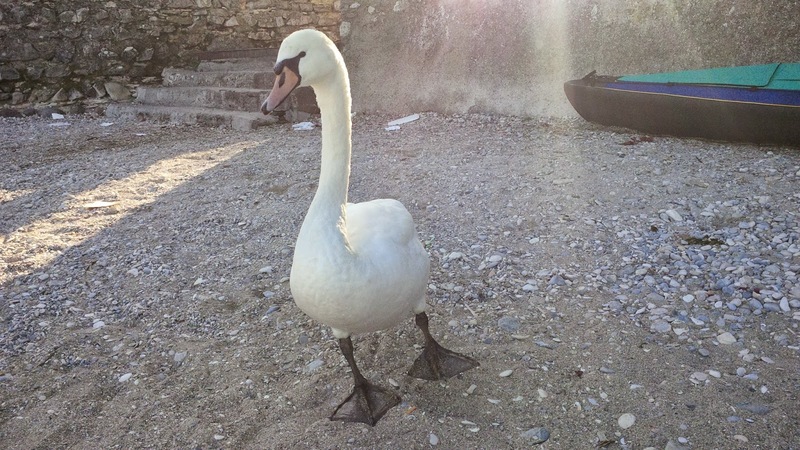 Without fear of the humans crowding to see them up close, the swans came inspecting our buggy to see if we had any food for them and happily munched on the pieces of bread we had to offer. A panoramic coastal path wound from there along the shores of the isthmus. We followed it for a little while, until a bunch of steep stairs hindered our progress with the buggy. 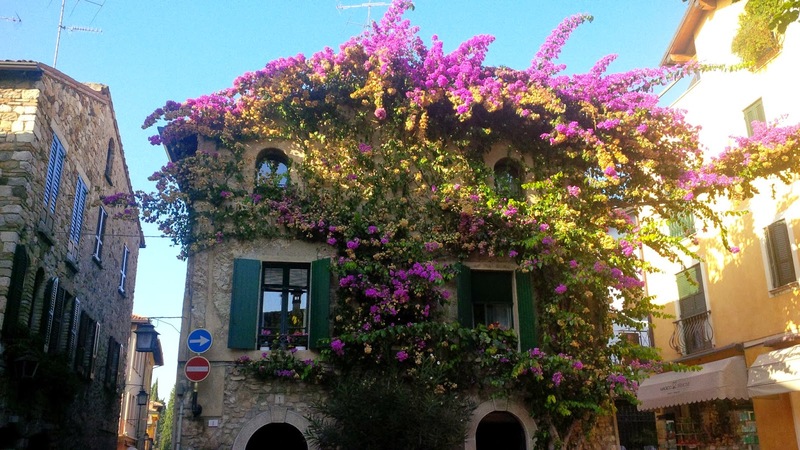 We turned left and walked through Sirmione instead and were richly rewarded when we came across this house in the middle of the village. People were wandering around the streets with huge gelatos in hand. Cones dipped in chocolate and ground nuts held supersized portions of ice cream with people enjoying them greedily, eyes glinting with delight. Soon we had our own cones with due gusti each to occupy us. Custard and caramel for me and strawberry and meringue for my husband. Yum! We walked past old houses, luxury hotels and olive groves. We passed the villa in which Maria Callas holidayed in Sirmione in the 50s of the last century. Just like the famous opera diva we had succumbed to the charms of this little village and made plans to visit again. A spa break in one of its thermal centres would be great, I thought. 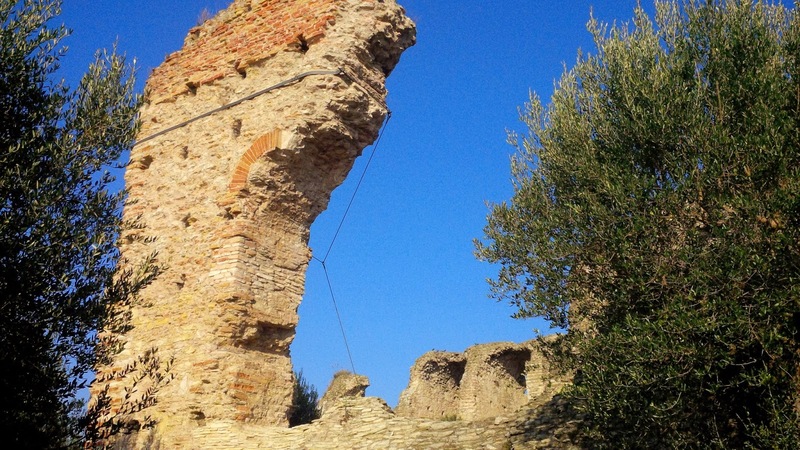 For now though we had a different destination in mind: Grotte di Catullo, or in other words the remains of the huge villa owned by the family of the Roman poet Gaius Valerius Catullus. Surrounded by olive trees, the villa had been built right on the tip of the isthmus, enjoying glorious uninterrupted views of Lake Garda on three sides. Under the hot afternoon sun we negotiated the gravel paths with our buggy, carrying it a few times up the stairs leading to the different parts of the excavations. Only afterwards we realised that there are ramps leading from the onsite museum to the villa. Still, as the ticket office lady had advised us to see the villa first and the museum second, unwittingly we took the much more strenuous for buggy pushers path. Grotte di Catullo amazed me with its size. In its heyday the villa must have been absolutely enormous. It was also a very quiet and peaceful place, beautiful in the solitude that the lack of hordes of tourists afforded it. It gives you a chance to slow down, connect with the past and just marvel at the views. So, apart from one really tiny tantrum that I threw when I wasn’t happy with the pictures my husband took of me (that went along the lines of: Why do you always leave so much empty space at the front of the pictures of me? And also, why you never take nice photos of me? 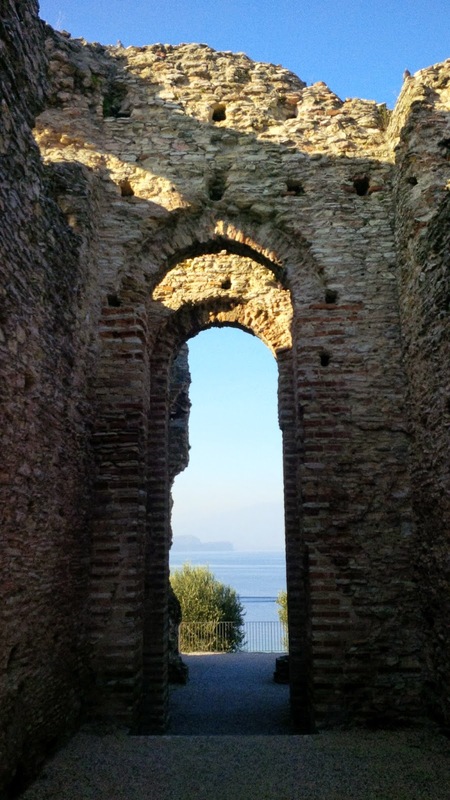 And… at which point we laughed and wished ourselves a happy honeymoon), we had a wonderful, albeit short time at the ruins of Grotte di Catullo. After which, we ran through Sirmione desperately trying to reach the car park before the pre-paid time for our car expired. At the same time, my phone battery died, which put a stop to the frenetic picture-taking I had been enjoying all afternoon. It was getting close to sunset, too and according to our sketchy plan, we had to reach Riva del Garda at the top of the lake that same evening. 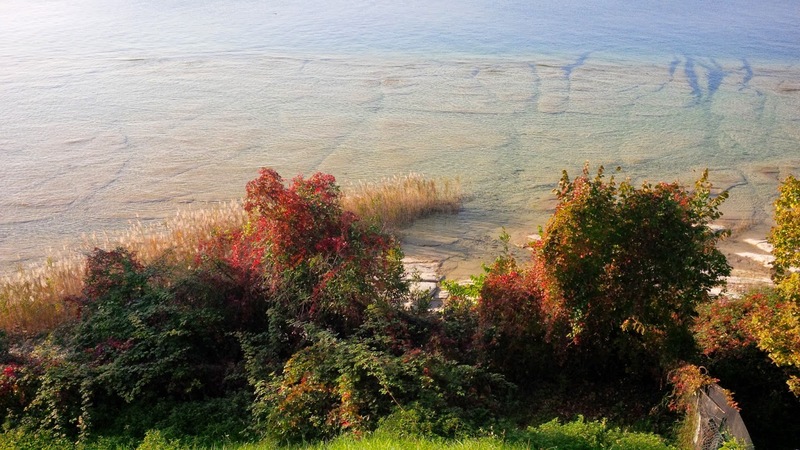 So, we set off in our little red car on the road winding up the west shores of Lake Garda. Villages merged one into the next and at first the views were not really that inspiring. That all changed as soon as we reached the town of Salo. It was already dark and the glinting lights ahead of us revealed a succession of little harbours, gorgeous hotels and sleepy houses. The harbour of Maderno sprang into view making us promise ourselves that we should visit this corner of the lake again. 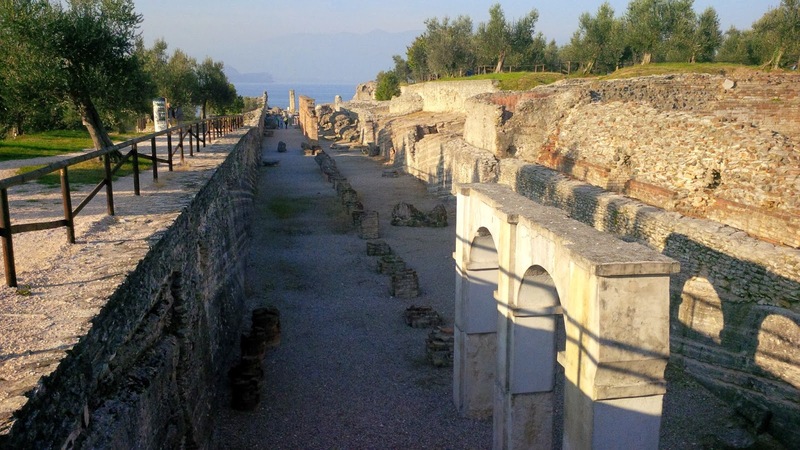 The tunnels chiselled into the mounts and hills surrounding Lake Garda led us forward. Some of them were huge, with subtunnels leading off the main one in different directions (‘This is rather cool!’, we thought). Some of them were tiny, taking us a few seconds to speed through them. The mountain slopes dropped straight down to the water, leaving only tiny strips of land on which villages and towns stretched for miles into the glinting darkness. After Limone sul Garda we noticed that the tunnels had mythological names. The tunnel of the dwarves was followed by that of the fawns and then, in no particular order, we crossed the tunnels of the titans, the dryads, the nereids, the tunnel of Aurora, that of Aeolus and so on. The tunnel of the Furies was incredibly short. ‘Short tempered, aren’t they?’, quipped my husband. The tunnel of the Gorgons was rather scary with its bare rock walls and winding narrow road cutting through it. One more tunnel after that and we were in Riva del Garda – at the top of Italy’s biggest lake and at the end of the first day of our short, but sweet honeymoon. Hello. Can you please give me some info about how to go to the airport Malpensa Milan from Garda ? We are planning on to visit Garda from Verona on our way to the airport . 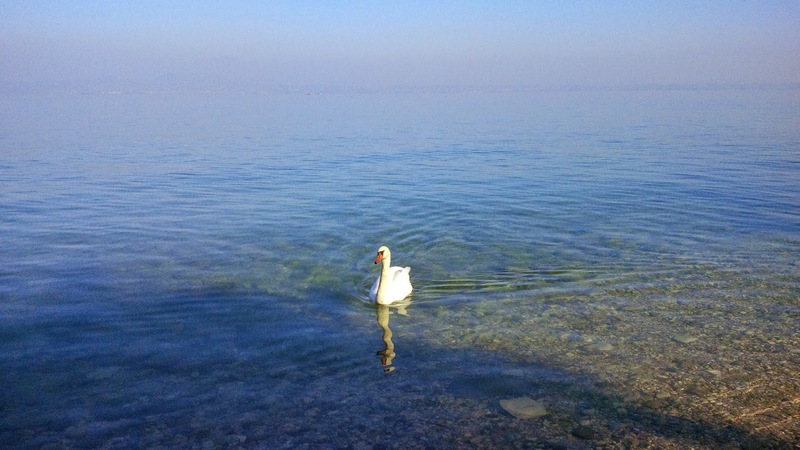 But I don’t succeed to find a way to go to the airport from lake garda . 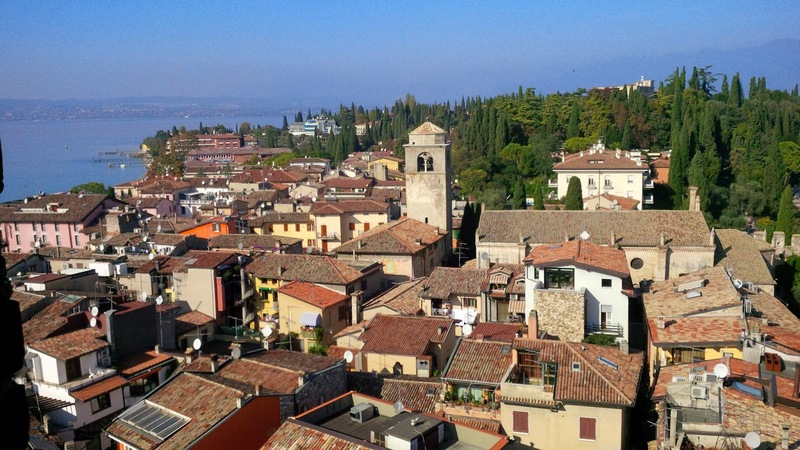 You can take the train from Peschiera del Garda or Desenzano del Garda to Milan (train station Milano Centrale) and then train or bus to Malpensa from the train station in Milan. You can search for train times here: http://www.trenitalia.com/.